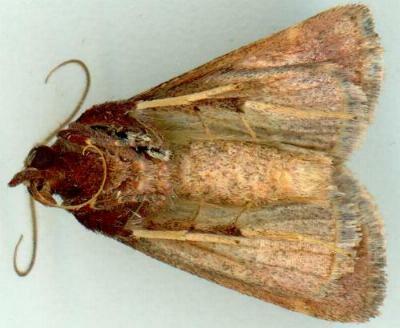 The adult moths of this species have brown forewings that each ahave two faint curvy lines across them, and a variable dark spot near the middle. 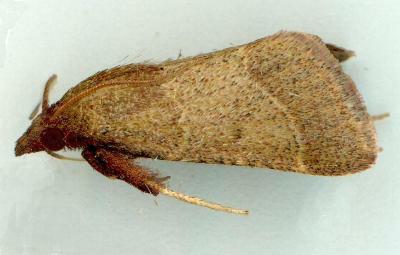 The hindwings are similar but paler. 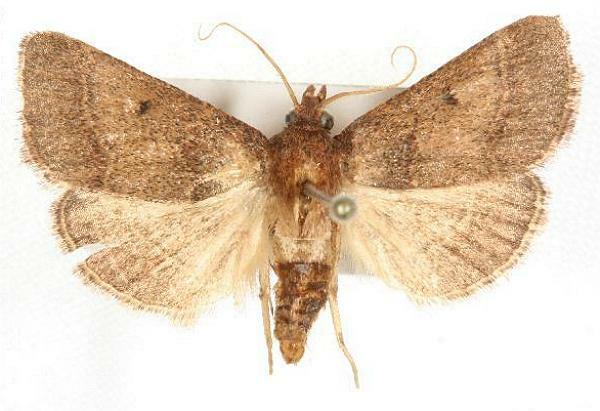 The moths have a wingspan of about 3 cms. Volume 18 (1904), p. 190, genus 22.